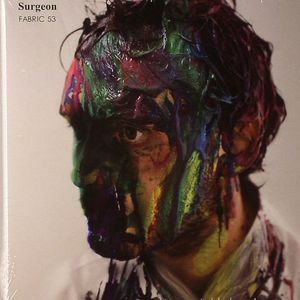 SURGEON/VARIOUS Fabric 53 vinyl at Juno Records. 1. "Location Recording From Kuramae Subway Station, Tokyo, Japan"
6. Forward Strategy Group - "Applied Generics A"
7. Reeko - "Agile Movement"
9. Robert Hood - "Superman"
12. T-Polar - "Crab People"
13. Ital Tek - "Spectrum Falls"
16. Fran Harnett - "It Was Written In Vapour"
17. Mark Broom & James Ruskin - "Hostage"
18. Stephen Brown - "Stress Free"
19. Ancient Methods - "AM04B1"
20. 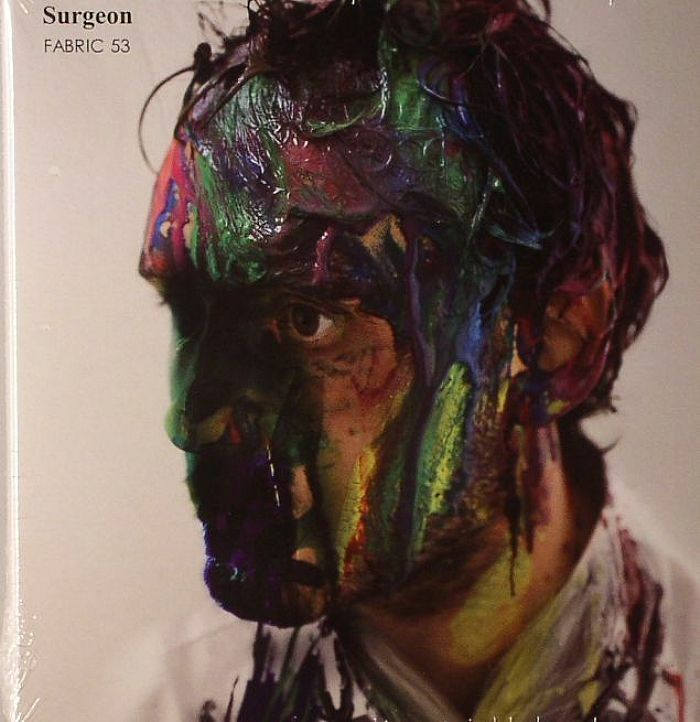 Surgeon - "Compliance Momentum"
25. 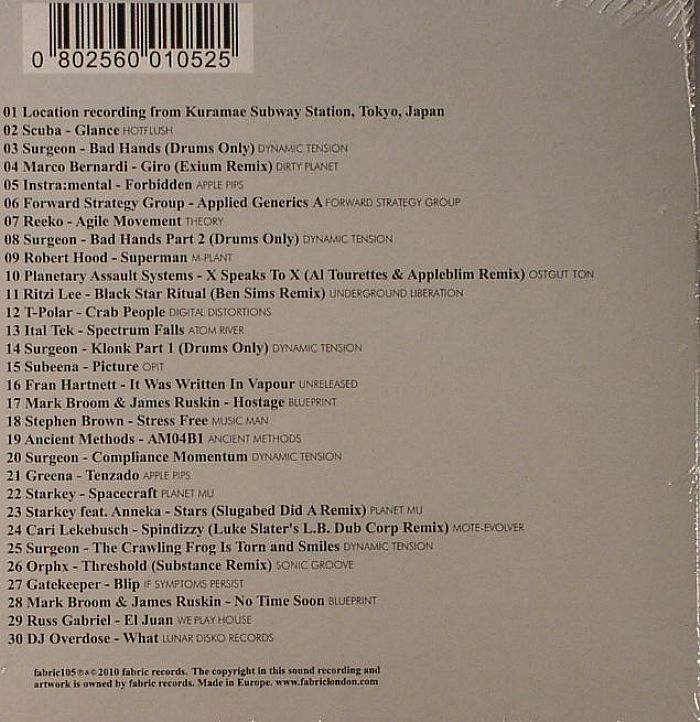 Surgeon - "The Crawling Frog Is Torn & Smiles"
28. Mark Broom & James Ruskin - "No Time Soon"
29. Russ Gabriel - "El Juan"
30. DJ Overdose - "What"
The techno deity that is Anthony Child, aka Surgeon, compiles the 53rd instalment of the vaulted fabric mix series and my, isn't it something. Fusing tough, raw techno and dubstep, Child takes us on a relentless journey that unites the work of Scuba, Ital Tek and Instra:mental with Mark Broom, James Ruskin and a healthy slew of his own productions. The pounding, bone shattering drop into the Al Tourettes & Appleblim remix of Planetary Assault Systems "X Speaks To X" sums up what Surgeon is all about on this mix - the interbreeding of two genres into one serious workout. Indeed, his chosen moniker has never appeared so apt, cutting and slicing seemingly disparate beats into one flowing narrative. This mix is easily as essential as any of its predecessors, and that's saying something.